Sodium is one of the key elements for human survival. It is an electrolyte which regulates the blood pressure in our body. For maintaining good health we need just optimum amount of sodium in our diet. However, if the level of sodium deviates too high or too low in our body, it can have adverse affects on our body. Sodium dissolves in the body fluids mainly water and helps in maintaining blood pressure. Higher concentration of sodium in the body increases the blood pressure and lower concentration decreases the blood pressure. Also higher concentration of sodium makes it hard for us to lose weight and on the other hand lower concentration of sodium shrinks our body. To explain this in detail I have conducted a simple experiment. 1. One teaspoon of salt. Before taking you through the experiment I would like to explain the process of Osmosis. According to “the free dictionary”, osmosis can be defined as, “the passage of solvent through a semipermeable membrane from a less concentrated solution to a more concentrated solution until both the solutions are of the same absorption. ” In simple words if I have two solutions, one with higher concentration of solute(material dissolved in solvent) and the other with no solute at all, when connected with each other through a semi restrictive layer, after a given period of time both solutions will have same concentration. This happens because only a given amount of solute can be absorbed by the solvent. Therefore solvent from the lesser concentrated solution flows into the higher concentrated solution to absorb enough solute, until both the solutions are of equal concentration. In my experiment salt is the solute, water is the solvent and their mixture is a solution. Step 1. Add one teaspoon of salt in a clear empty glass. Step 2. Fill half the glass with water and give it a stir. Step 3. Keep adding water to the glass until all the salt is absorbed. In this experiment ‘step 2’ depicts higher concentration solution. 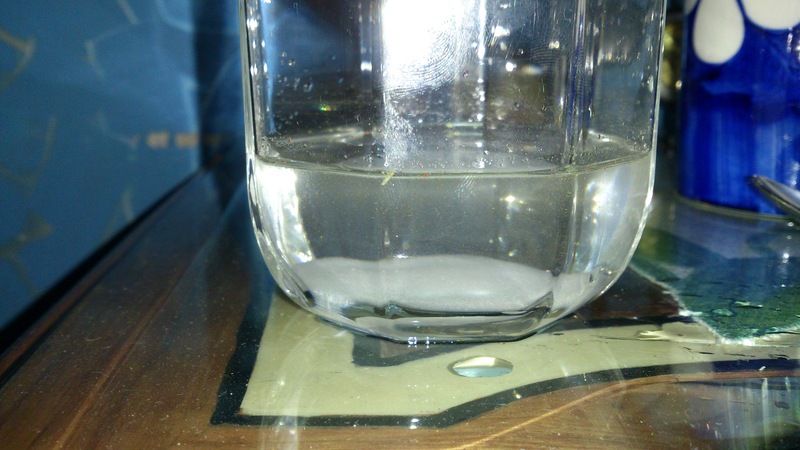 As you can see after filling half of the glass with water, there is still some salt(solute) yet to be absorbed. It needs more water(solvent) to be completely absorbed. 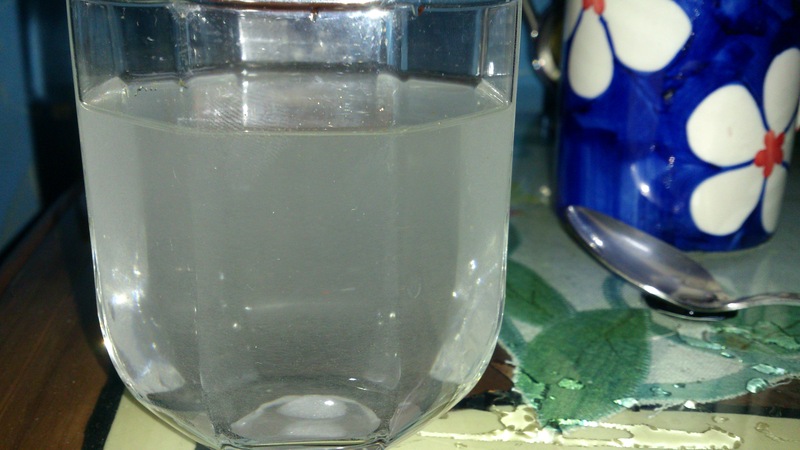 As depicted in ‘step 3’, once we keep adding more water(solvent) to the solution, more the salt(solute) dissolves in the solution making it less concentrated. Hence this experiment proves the process of osmosis. The same process happens in our body. We humans knowingly or unknowingly tend to consume more sodium in our daily diet. Some of us consume by adding extra for flavor, others consume it through processed foods. Almost every processed food in the market has added sodium to it. Even breads, canned soups and vegetables, processed meats, dairy products have sodium in them. Due to their daily consumption we tend to store more sodium in our body than required. This results in the process of water retention, i.e. due to extra sodium in our body, our body stores more water than it should to absorb that extra sodium. As a result extra water flows through our blood stream increasing the blood pressure. As mentioned before higher sodium concentration makes it hard for us to lose weight. When we exercise, our body uses energy from stored carbohydrates and sugar. However in their absence our body uses the reserved energy present in fats. There are various ways fat leaves our body and one of them is water loss. Body loses water either through urination or sweat. Due to higher concentration of sodium in our body, the fat that coverts into water also is used for sodium absorption thus not leaving the body. Hence you may be burning fats but not losing weight. On the other hand when we consume less sodium our blood pressure decreases due to less water being absorbed, thus decreasing the blood flow. We also tend to shrink more as more water leaves the body due to sweating or urination. This may be bad, as optimum blood flow is required to take necessary minerals(nutrients) to various parts of the body and also necessary in sending signals. How to maintain normal sodium level? 1. Eat more fresh foods. More than 80% of daily sodium requirement can be filled with fresh fruits and vegetables. For flavor just add pinch of salt to your food. You can use various herbs and spices such as red chilli, black pepper, cloves, cumin seeds, oregano, basil, bay leaves, etc to enhance the flavor. 2. Buy processed food that mentions no added salt or has lower sodium as compared to its competitor products. 3. Drink plenty of water on a daily basis. Try not to consume water until half an hour of meals, let the natural juices of your body do the work before you dilute them. 4. Keep following my blog :). Hope you found this read equally informative and enjoyable. Categories: Popular Articles | Tags: article, blood pressure, community, education, fat, Food, Fresh, Health, osmosis, postaday, postaweek, processed food, recepies, salt, Science, sodium, sodium concentration, solute, water, water retention, weight loss | Permalink.